Starting from Les Sables d'Olonne, skippers will go south till Cape of Good Hope, continue sailing eastward in the southern hemisphere to pass the international dateline, and pass Cape of Horn to start sailing north in the Atlantic Ocean for the final leg. 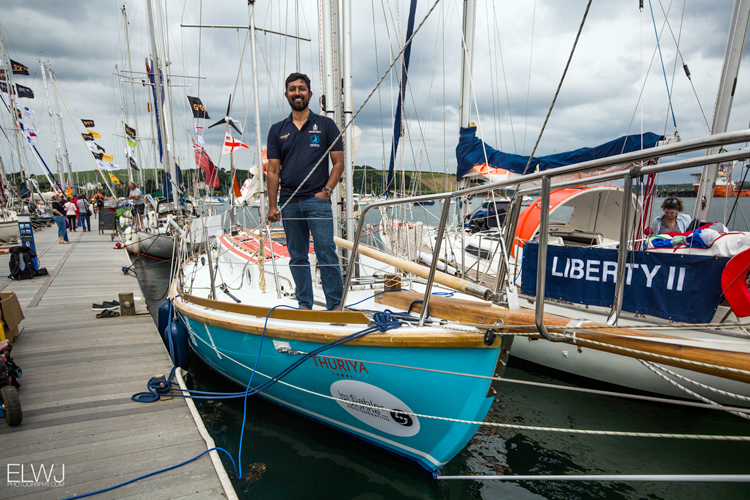 Commander Abilash Tomy is aiming to complete the race in 311 days, one day less than Sir Robin Knox Johnston's timing. Commander Abhilash Tomy of Indian Navy, the only Indian to sail around the world non-stop and solo is ready for his second solo circumnavigation voyage. 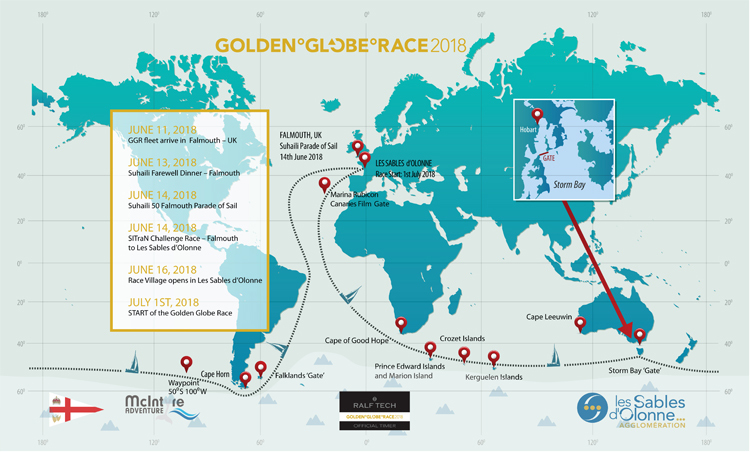 This time he will be participating as a Special Invitee in the historic 30,000-mile 'Golden Globe Race' which will be flagged off from Les Sables d'Olonne, France on July 01, 2018. He will be sailing in his specially designed sail boat named ‘Thuriya’, along with other 18 skippers in this vintage race which is recognised as very high risk prone and hazardous. The name of the boat is derived from the Upanishads, which describe 'Thuriya' as a state of pure consciousness, or the background that underlies and transcends the three common states of consciousness. 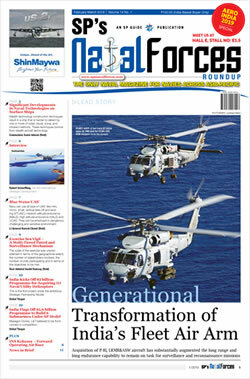 The 50th anniversary edition of the Golden Globe Race (GGR) is a celebration of the original event. Competitors in this race will sail in conditions similar to 1968, without modern navigation aids. The challenge is pure and raw. It is for ‘those who dare’, just as it was for Sir Robin Knox Johnston. Navigation is with Sextant on paper charts, without GPS or other electronic instruments or autopilots; not even pocket calculators. Participants will hand-write their logs and determine the weather for themselves. Only occasionally will they talk to loved ones and the outside world, when ham radios allow. Sir Robin Knox-Johnston's successfully completing the voyage in 312 days, to become the first human to finish solo, unassisted and non-stop circumnavigation of the world. The biggest challenge at the GGR is to have equipment, tools and boat which resemble the ones used by Sir Johnston, despite the change in technology. Navigation will have to be done looking at celestial objects using physical maps. Communication with the outside world will also be limited as the lone satellite phone is for use in medical emergency alone. Commander Tomy had first circumnavigated the globe in 2012-13, becoming the first Indian to achieve the feat by sailing for 151 days in INSV Mhadei. Starting from Les Sables d'Olonne, skippers will go south till Cape of Good Hope, continue sailing eastward in the southern hemisphere to pass the international dateline, and pass Cape of Horn to start sailing north in the Atlantic Ocean for the final leg. Commander Tomy is aiming to complete the race in 311 days, one day less than Sir Robin Knox Johnston's timing. He will be sailing in the 10-metre 'Thuriya', whose design is similar to Sir Johnston's boat 'Suhaili', which was incidentally manufactured in Colaba, Mumbai. "Thuriya" has been built at Goa at Ratnakar Dandekar's Aquarius Shipyard. Commander Tomy has supplies consisting of specially-prepared food items, and fresh water in the limited space on board. Before sailing out for Les Sables d'Olonne, there were a series of events held in UK's Falmouth, from where the first race was flagged, where Sir Johnston was also present. In the two weeks to July 01, 2018, mandatory checks, including ones on safety, are being carried out and the sailors are getting the boat ready for the long-haul voyage. Commander Tomy is being supported by the Indian Navy and Aquaris Shipyard for the race, while Commander Dilip Donde (Retired), the first Indian to circumnavigate the world with stops, will be overseeing as the Base Manager. 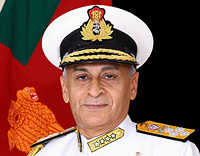 Explaining the journey that awaits him, Commander Abhilash said, "At the Sagarparikrama (the first circumnavigation), I had used GPS-based maps and other satellite-based technologies. But at GGR, I have to make do with a compass, printed maps, and star and planetary movements. There is a solitary HF radio set for contact. The size of the boat limits the possibility to carry water. Sir Robin had used rain water and I will have to do the same. There is no help from the outside world throughout the race." Q1: Where are you now? Plan / schedule for next 8 days? Ans: I was in a place called Medemblik in the Netherlands preparing the boat for the circumnavigation. I sailed out from there on June 05, 2018 alone and made it to Falmouth in the UK by June 10, 2018. I was there as part of the Golden Globe Race (GGR) race activities such as race briefing etc. I left from there on June 14, 2018 morning and reached Les Sables d’Olonne, France on June 17, 2018. The sail to Les Sables was with all the other entrants. There was a friendly race called the SITRAN cup. The GGR race will start from Les Sables on July 01, 2018. During our stay in Les Sables for next 10 days, we will have safety briefings, safety inspections, media, introductions, events etc. and of course boat preparations. Q2: About Boat and other preparation, what is done, what is pending? Ans: Most of the work is over. We had the first safety check yesterday and a few things need to be looked into as per the race organisers. Buying food is pending. And also buying some stuff such as stationary, toiletries etc. Q3: What are you carrying with you for this expedition? Ans: Lot of things are to be carried! It is an endless list. There is also a major emphasis on safety due to which we are taking a lot of safety equipment with us. This is almost four times more than what I carried in my last round the world. There is also a lot of emphasis through regular briefings, safety checks, etc. from the organisers. MSOS will be providing the medical support while we are at sea. Q5: How can people track your status? Q6: Since when you are preparing for GGR?